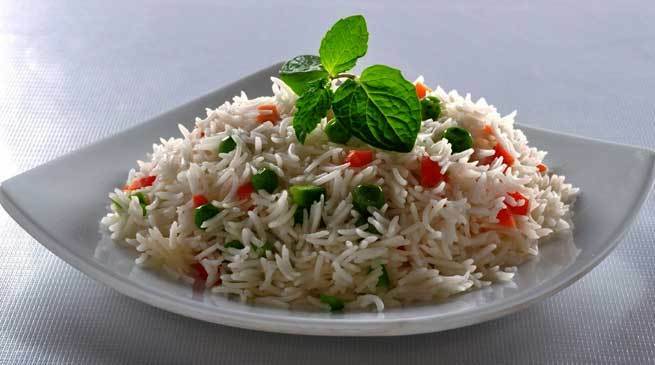 Rice is a favourite food in many countries , but the experts says that continue eating of rice in large quantity may lead to invitation of cancer in the body because it is found that a poisonous iron arsenic is found more than the required quantity in rice. According to the report found in the research magazine named ‘Plos one’ of Kwins university Belfast of Britain, rice contains very poisonous iron arsenic more than the required quantity. To eat more arsenic based rice increases the chances of having heart disease, diabetic, and weakness of the nerve system and there is possibility of lung cancer. British professor and Miharag says that in rice generally arsenic is 10 times more than the other food products because rice is the only crop which requires the more water than others. It means that the crop of rice contains heavy amount of a carbonic arsenic which are present in the underground water. It is the opinion of experts that we have to change the method of boiling the rice. Generally we boil the rice in the kettle and then take the water outside, in this way arsenic cannot be completely removed but if we boil the rice in coffee filter machine or Ketlie then 85 percentage of arsenic can be destroyed.